you of any unique moments from your life. Maid Of Honor, and any occasion that you want to make extra special. 1. Select and ADD item to CART. --- Email your custom recording that you would like framed or send us the link to your song from Youtube. Also the COLOR you would like the sound wave to be. 4. We will create a proof /preview for your print order within 1-2 days. 5. Once you have approved the proof/preview it will take 2-3 days to ship the frame (arrival generally within 5-7 business days)! 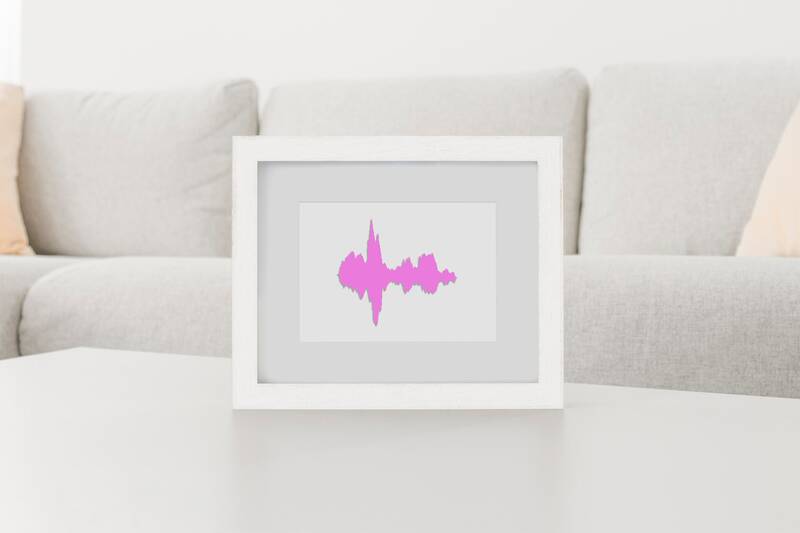 Custom Sound Wave Art - Canvas Print 12x16"
Thank you so much! Great communication, great work, great timing. I love what you customized for me! Thank you for helping me create what I was looking for! Beautiful work and super fast! I love being able to hand out such gorgeous and eye catching business cards! We use printing at wholesale pricing from local print press, HotCards, as well as Vistaprint.